Keeping your lips naturally hydrated, soft and juicy looking with a good quality lip balm is not as easy as it looks in the first place. A lip balm with effective ingredients is something that your lips really need especially during Winter and surprisingly Summer, too. Lip balms can keep your lips protected, moisturized and nourished, preventing all that ugly looking chapping and even bleeding which appears mainly in winter because of the extreme weather conditions. Especially in the Summer women tend to neglect lip balms, thinking that their crayon will do the job. There are surely crayons that have good conditioning ingredients in them but a lip balm will be more appropriate and without all those colors and additional preservatives a crayon has. The combination of the heat and swimming can have an intense dehydrating effect on our lips, so never forget to leave for holidays without a good lip balm to tackle dryness and dehydration. Here, I have selected some very well reviewed natural and organic lip balms for dry chapped, cracked and dehydrated lips, including the one I have been using and sticking to for years now. 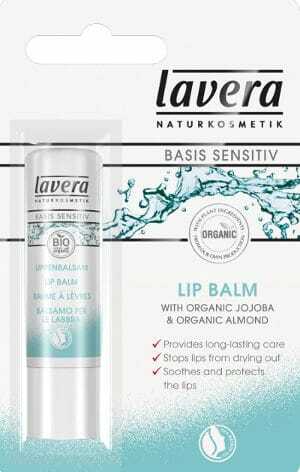 From all the organic and non organic lip balms I have tried out so far, Lavera Organic Jojoba & Shea Butter Lip Balm has been the only one that has truly nourished and helped my lips deal with chapping ,cracking and bleeding caused by harsh weather conditions during Winter. Still, it is not a heavy feeling lip balm as you might think. It feels extremely light and once you apply, it absorbs really fast. Also, with most of the lip balms I have tried out till now I had that feeling of something sitting on my lips that in the end did nothing to protect and nourish my skin. But Lavera lip balm is different! Just check out its ingredients like Shea Butter which has soothing, healing, moisturizing and even anti aging properties and you will understand. Another super ingredient is jojoba oil which again is one of my favorite oils in moisturizing and keeping moisture inside skin for longer. Almond oil is perfect for protecting skin while calendula oil works best for calming irritated skin. Olive oil, rapeseed and carrot oil are also natural oils that are full of antioxidants to help dry skin heal faster. Also, the product doesn’t have any scent which gives me an even more pure and free of chemicals solution. As soon as you apply, it melts lightly into the skin and gives you an instant relief. If you are interested, you can order from the links leading to Love Lula site above which also offers free worldwide delivery. Shea butter, Olive Oil*, Cera Flava/Beeswax*, Candelilla Wax, Squalane, Jojoba Oil*, Lecithin, Tocopheryl Acetate, Almond Oil*, Mango Seed Butter, Rapeseed Sterols, Oryzanol, Anatto/Cl75120, Calendula Oil*, Carrot Oil, Tocopherol, Ascorbyl Palmitate, Ascorbic Acid, Caprylic/Capric Triglyceride, Alcohol. *ingredients from certified organic agriculture. 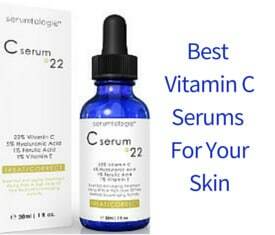 Vitamin C stimulates production of collagen and elastin. Photo aging protection with vitamins C and E.
Nourishing plant oils relieve dry and chapped lips. Free of synthetics, parabens, phthalates, sulfates. Some of its ingredients are: Magnesium Ascorbyl Phosphate( a form of vitamin C), Lavender, Chamomile, white tea extract, arnica, organic aloe barbadensis, vegetable glycerin, cetearyl alcohol, glyceryl stearate, caprylic/capric triglyceride, green tea extract, hyaluronic acid, melatonin, lemon bioflavonoids, panthenol (pro-vitamin B5), allantoin, organic cucumber and calendula extracts, vitamin E, xanthan gum, soy lecithin, phenoxyethanol, benzyl alcohol, organic orange oil and other essential oils. People are very satisfied with the effectiveness of the product. In particular, what this organic lip balm has offered them is nicely moisturized and soft lips even just after one application. For some, the light glossy look that it gives them seems quite attractive while for others its healing properties make it great for dry and chapped lips. 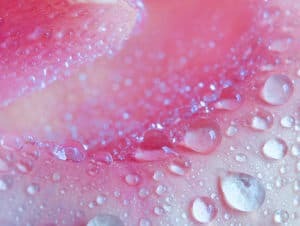 Most of the users like the fact that it doesn’t feel waxy at all and few people with sensitive skin have reviewed that they had no reaction by using it. Its slight orange scent gathers lots of fans while the reasonable cost and the big tube are also mentioned as big pluses of this balm. 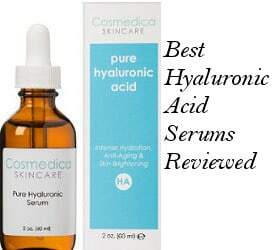 Another positive point that a user mentioned was that this product actually helped soften the fine lines around her mouth and I can understand this since the balm contains both vitamins C and E as well as hyaluronic acid. My only doubt about this lip balm is one of its ingredients, Phenoxyethanol, a chemical preservative whose use has been controversial since it has been avoided by some skincare companies as a skin irritant and by others it is still being used. Badger Cocoa Butter Lip Balm seems like another good option for dry and chapped lips. Cocoa Butter Lip Balms remind me of my childhood lip balms which I sometimes had to use because of the winter cracking lip skin. Strong antioxidants contained in aloe vera, seabuckthorn and rosehip ingredients. Organic Fair Trade Certified Cocoa Butter. Free of artificial fragrances, detergents, synthetics, mineral oils, color or harsh ingredients. The full list of the ingredients is not easily traceable but some of them are: Cocoa Butter, Extra Virgin Olive Oil, Rosehip, seabuckthorn, Beeswax, Aloe Vera and antioxidants. What do Badger Cocoa Butter Lip Balm reviews say? Users seem very satisfied with the moisturizing effect it has provided them, making their lips soft and properly hydrated. A few people with chronic lip dryness have also mentioned how much this lip balm has helped them deal with their condition after lots of efforts with other lip balms. 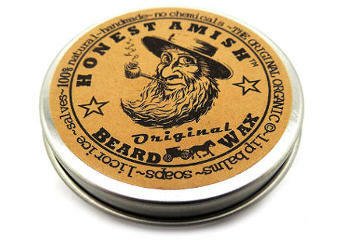 In general, users are pleased with the effectiveness of the product for dry and chapped lips. It doesn’t feel greasy or heavy and is contained in a very large tube which all users comment as a big plus since the product lasts for long. One thing that few users didn’t like though, is the specific scent of dark chocolate which according to them lingers and doesn’t look so pleasant for their taste. Still, others like it, saying that it is light and refreshing, so what I could say is that reviewing a scent is actually a matter of taste. In conclusion, this was my selection of the best lip balms for dry, chapped and cracked lips which contain a good deal of natural and organic ingredients, including my own choice of a lip balm for adequately moisturized and beautiful looking lips.